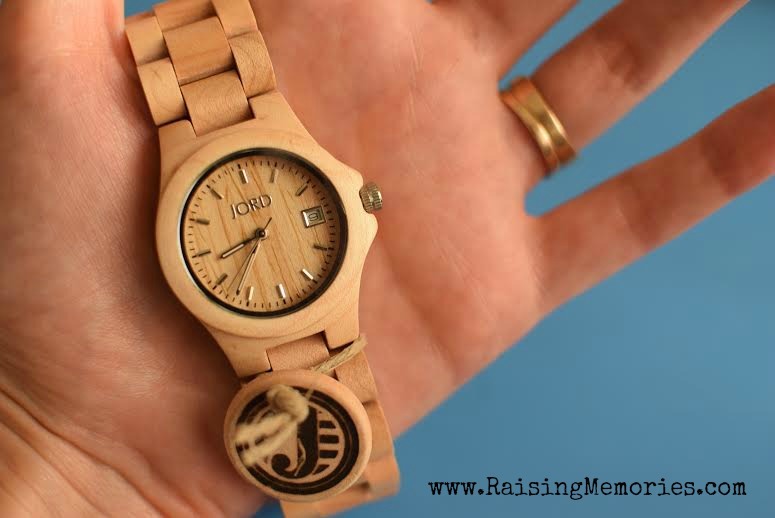 I recently heard about a watch company called JORD that makes all Wood Watches! They have some really neat designs that I like because they're unique. The watch that I've been "using" is a little too tight, but I don't want to make it looser because then it's too loose! So, even though I like the way it looks, it spends a good 95% of the time in a drawer in my jewellery box! 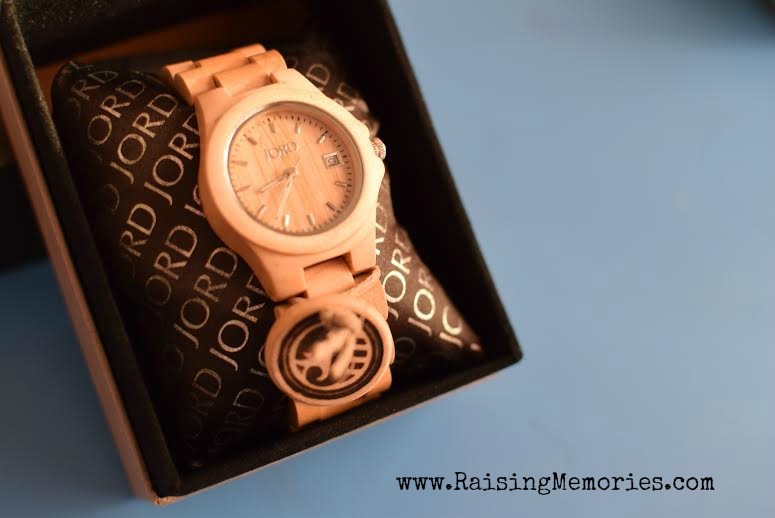 When I got an email from JORD asking if I'd like to try one of their watches and share it with you I said "Yes please!" I chose the Ely watch in maple and I'm so happy with it! 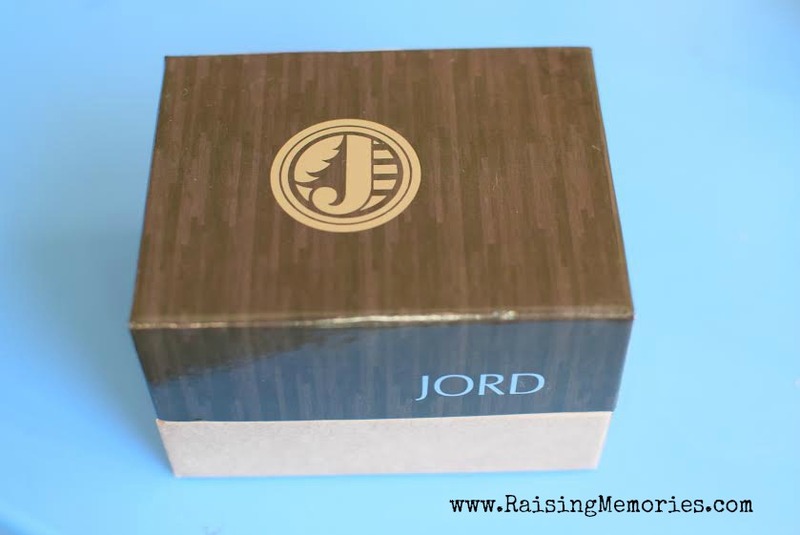 It came in the mail packaged inside of this lovely box (below), with a wooden tag attached to it (shown in the photo above). We had some trouble getting the pins out of one side of the watch band. I contacted the company and they quickly solved the problem by sending me a replacement watch band for the side that had the problem. As soon as that arrived, I was able to easily get it sized properly. I so appreciate good customer service like that! This is a clunkier watch than I'm used to and I'm really liking it! My other watch is more "dressy" so I love having a casual everyday watch (plus this one fits better than my other one). I also really like that it has the day of the week on the watch face- that comes in so handy for me because I'm always losing track of the date! (Excellent for those sheepish moments when you have to sign your child in at school or fill out and sign some paperwork at an appointment and you realize you don't know the date). Today JORD wants to give one of you a watch of your own! Just fill out the form below to enter for your chance to win! 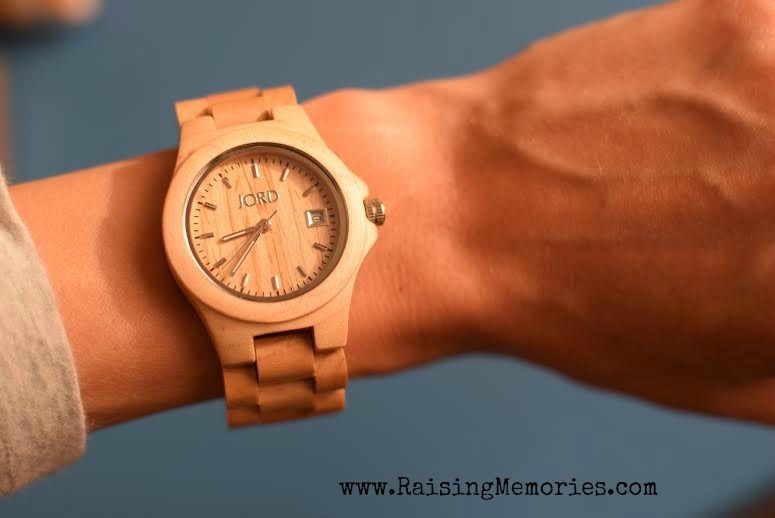 Disclosure: I was provided with a watch for review purposes. Opinions shared are my own.